These words seem to be prophetic. United Methodism is on the verge of becoming a spiritually dead form of religion. Its present leaders have moved so far away from God’s Word and historic Christianity, that the general conference will consider changing the moral code of Scriptures to embrace homosexuality as a legitimate lifestyle, and opening up the practice of performing and blessing homosexual marriages in United Methodist Churches. You can read about it on the UMC official website Here and see the prominence of it Here. If the general conference adopts this recommendation from the Connectional Table, which is a council body of clergy and laity from around the world for the denomination, it will be the death nail of the United Methodist Church, and will make it impossible for godly congregations to remain within the conference because the denomination will then be officially supporting homosexuality and standing against the biblical truth of the sanctity of marriage. 1. The UMC will become a secular institution that panders to immoral standards of society. 2. The UMC will abandon the clear teachings of Scripture. 3. The UMC will slam the door on being a legitimate Christian Church by the standard of Scripture. 4. The UMC will seal its decline as every other denomination (Anglican, Episcopal, Liberal Presbyterian, etc.) has done by abandoning God’s moral standard of the sanctity of sexuality and marriage. 5. The UMC will lose local congregations and members who desire to remain faithful to God and the Scriptures. 6. The UMC will continue to function, but not as a beacon of light and truth—only a lifeless organization and social club. The decline we see within the UMC has not taken place overnight. The denomination has been toying on the edge of this issue for several decades. Because the leaders have failed to stand clearly for biblical morality, they have placed the denomination on a slippery slope. The results seem to now be inevitable. This slippery slop has produced the tipping point the UMC is now facing. I don’t know how long the god-fearing men and women within the UMC can continue to uphold and protect the historic moral standard for the general conference. However, it is only a matter of time before the UMC, like the Episcopal, Anglican and others, run off the cliff of pluralism and into the abyss of politically correct cultural immorality. When they do, thousands of godly men and women will be forced to walk away from UMC, because at that time the UMC will cease to be a genuine Christian Church and will only be “Christian” in name. I have no bones to pick with the UMC. All of this breaks my heart. I was married in a UMC and have preached revivals in them. My wife grew up as a United Methodist. My middle son bears the name “Wesley” in honor of John Wesley. I know many UMC pastors who are godly men and are faithful to God’s Word. These men will be forced to choose between serving God or serving man, between walking and standing for truth or bowing to the ungodly leadership of a dying denomination. Many well-meaning UMC pastors will bow to the compromise by attempting to protect their ‘retirement and insurance’ benefits they receive from the denomination. They will sell their soul for comfort. We should all hear the words of John Wesley. He warned of what happens when men turn from the power of the gospel and become a useless “form of religion.” We are watching it first hand with Methodism. And sad to say, it is only a matter of time until the unregenerate men in their leadership place the final death nail into the coffin of the UMC. The only comforting part for the pastors and men and women who truly love God, and are forced to leave the UMC, is that they will not be walking away from the example of John Wesley or from Christ. In fact, they will be walking down the path of Wesley’s faithfulness to Christ when they leave a conference that rejects the Scriptures, rejects the truth, and rejects Jesus. I can only pray I’m wrong, but the slippery slop of religious liberalism that dominates the UMC will eventually end with the general conference accepting, blessing, and performing homosexual marriages. Who would have ever thought that homosexual marriage would ever become an issue among those who claim to know Christ? Well, the truth be told, it is not an issue for those who genuinely belong to Christ. It is only an issue for those men and women who hate God’s absolute truth while clinging to form of religion to appease their conscience. For several decades the UMC has refused to properly stand on the issue of homosexuality and have allowed religiously unregenerate leaders to creep in and usurp the authority of God’s Word in the denomination. The general conference of the UMC has applauded itself and its local churches as being open-minded and ecumenical as they embraced atheists and homosexuals apart from calling them to repentance and faith in Christ. Now, it appears the buzzards of unbelief are returning to roost, and the price is great and tragic. 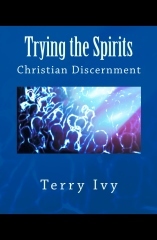 My brother in Christ, Terry Ivy, has penned a great piece on the Church and its compromises wit the world that makes a perfect follow-up to my message today from Revelation 2:18-29. Read it and be blessed. God forgive us and help us all to grow eyes and ears and new hearts….His Holy Ones must go deeper into their relationship within the Blessed Trinity….. Then one will be able ,once more, to observe the difference between those who have faith and those who don’t. It will allow us to discover power in God above and beyond the power of God we all enjoy commonly at this point.